Psalm 83 foretells of a future 10-member alliance, comprised of the Arab territories that mostly share common borders with Israel, who will form an alliance and seek to wipe Israel “off of the map”. 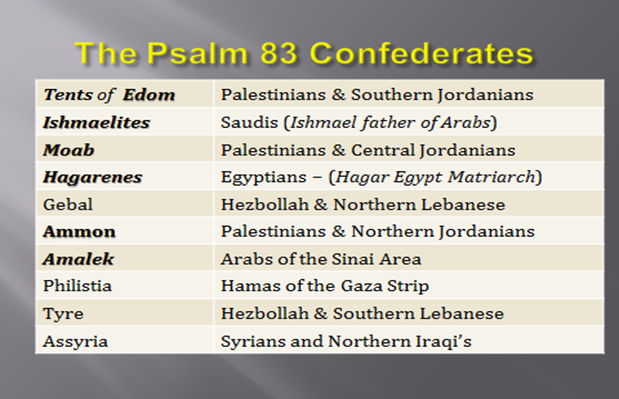 Verses 6-8 of Psalm 83 reveal the ancient identity of the nations in the alliance, which could also include notable terrorist organizations like Hamas, Hezbollah, ISIS and more. Historians and Bible scholars recognize that these nations have never formed an alliance, and that is why this is a prophecy—yet to be fulfilled. 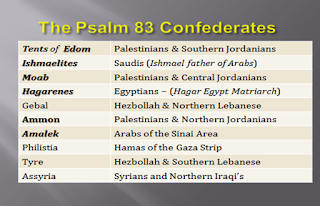 Amazingly ALL the nationalities listed above, in the Psalm 83 alliance, are the EXACT neighboring enemies of Israel who are at present, warning Israel of their intentions to destroy her and of whose preparations to come against Israel are dominating the headlines. This alliance is forming today! The ancient territory of Assyria (at the time that the Psalm was authored) closely resembles the vast area of territory now in the possession of ISIS. Assyria appears to play a dominant role within the Psalm 83 confederacy. The Psalm makes a definite connection between Assyria and Jordan, which is possibly the next country that ISIS will seek to invade. Today, and with the advance of the Islamic State, I wouldn’t be a bit surprised if they're involved. A 3000 year old prophecy written in the book of Psalms appears to be alarmingly close to finding its final fulfillment! The exact timing of this war is not given. 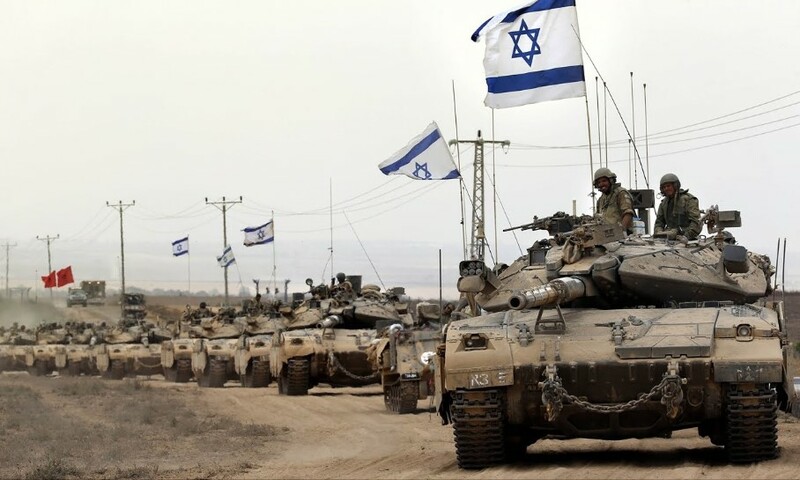 There are some who believe Psalm 83 war was completely fulfilled in the Six-Day War of 1967. However, logically, Psalm 83 in co-ordination with Isaiah 17 would seem to pave the way for the Gog/Magog War of Ezekiel 38-39. Nonetheless, the prophetic hourglass, that was turned on May 14, 1948, is certainly running out of sand in its top section!